A private project is located in the Salamis area. All villas are of modern design, with open plan interior space, with central heating and air conditioning. 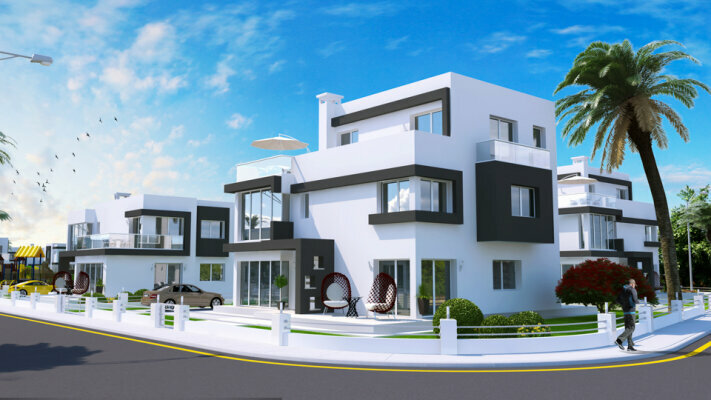 4 types of villas: 200, 225, 254 or 284 m2 of living area with 3, 4, or 5 bedrooms. Payment plan: interest-free Installments for the construction period.